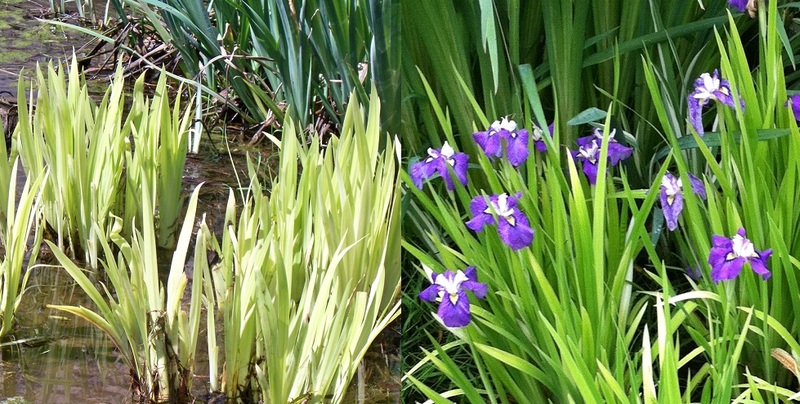 The Iris (and most other marginal plants) serve to frame the water surface and to add a third (vertical) dimension to the pond picture. 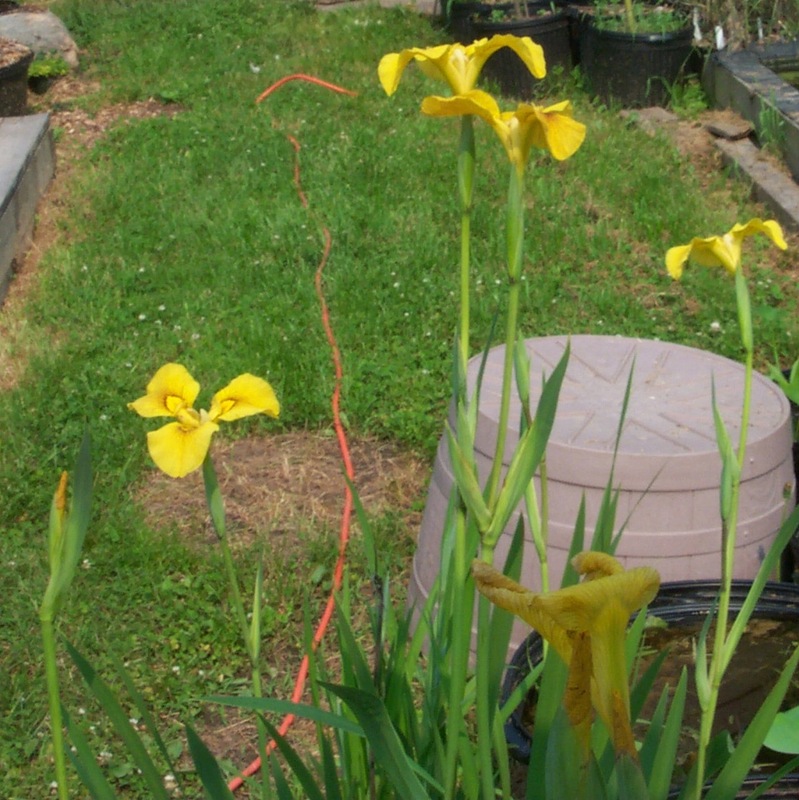 Most Iris blossom over a 2-3 week period with the earlier varieties starting to blossom in early May here at the farm and the latest (‘Rose Queen’ and our own ‘Freckles’) blossoming in July. We offer plenty of choices to equip you to provide a steady succession of bloom for 10-12 weeks (and you thought that was just to confuse you). 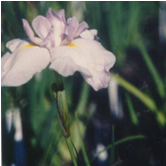 Most grow to roughly 2’ tall, Depth (measured from top of pot or soilsurface to water surface) desired is 0-6” except as noted. Propagated vegetatively and painstakingly and grown on our farm to ensure hardiness and variety. 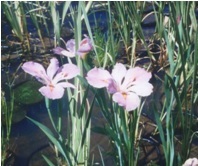 Some additional specialty Iris may be available. 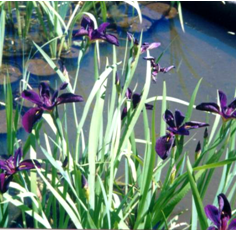 Very different looking dark bluish-black flowers (mid-season). 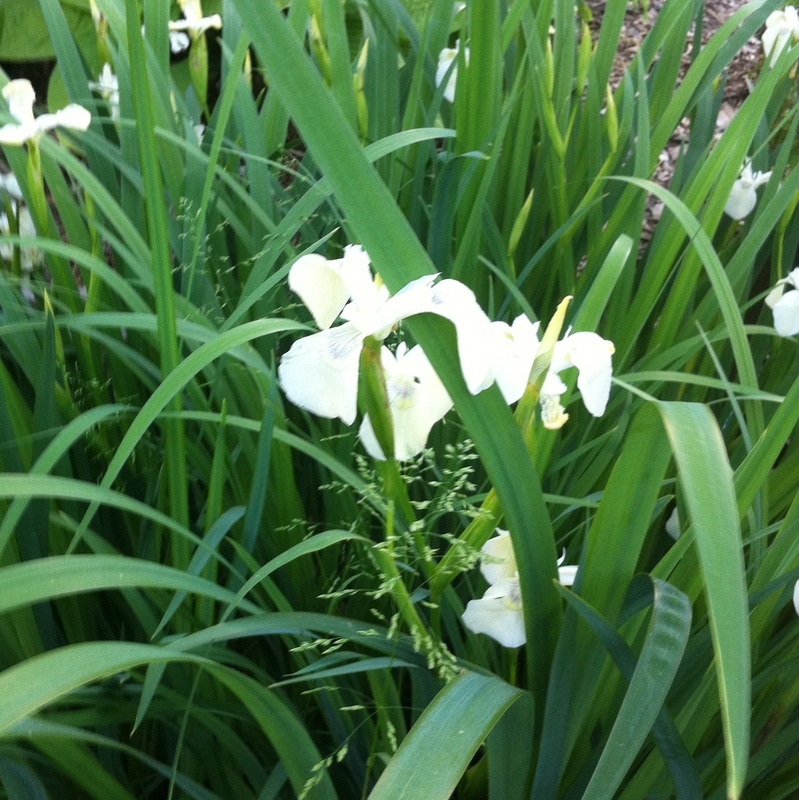 Vigorous grower that grows in clumps up to 4' tall. 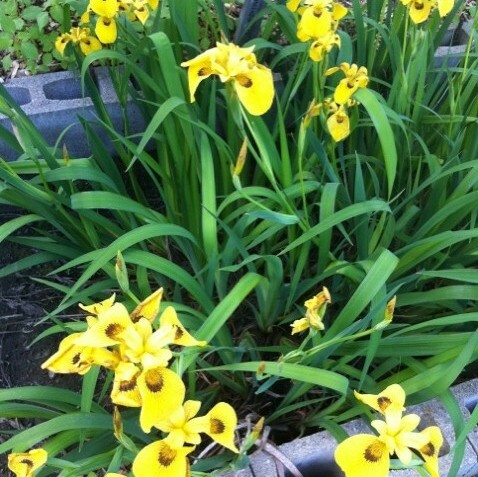 Yellow flowers with a distinctive brown outline to the center of flower (mid season). 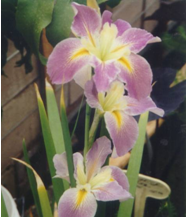 A winner of the prestigious Royal Horticultural Society Award of Garden Merit in 1998. Narrow foliage with rich blue flowers (mid-season). It will reach about 2-3' tall, is slow growing but worth the wait. Striking lavender flowers with apricot-pink centers (mid-season) make this a popular choice. 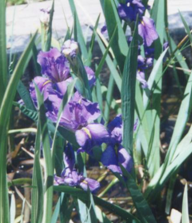 This is an Iris versicolor cross with darker colored blooms that start about 2 weeks later. A very unique, beautiful purple flower with white frekles. It is very late blooming. Beautiful pink flowers (mid-season) make this the standard for "pink". 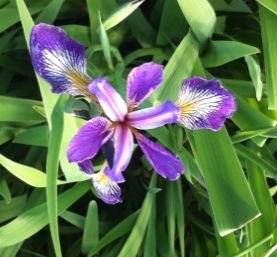 Bluish-purple flowers, with a deep yellow center make this a great counterpart for Handmaiden. 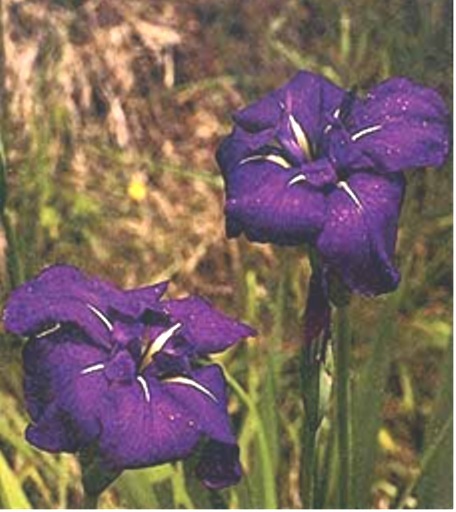 Double purple flowers that bloom early spring and occasionally in the Autumn also. 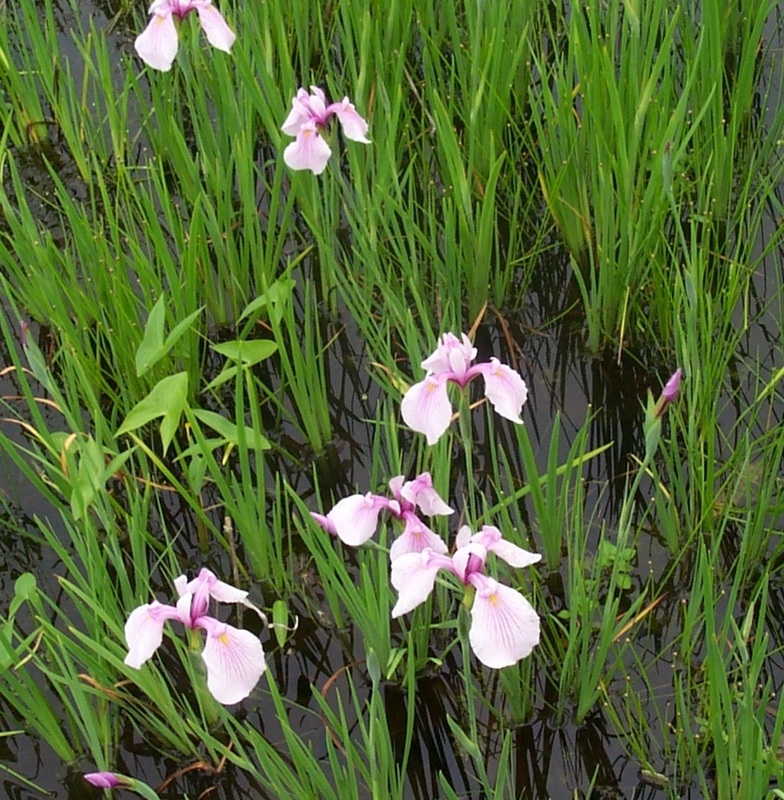 Unique clear pink flowers adorn tight clumps of narrow foliage (to 2'). It is a late flowering plant-same time as Freckles. This floriferous yellow flower with deep brown veins. 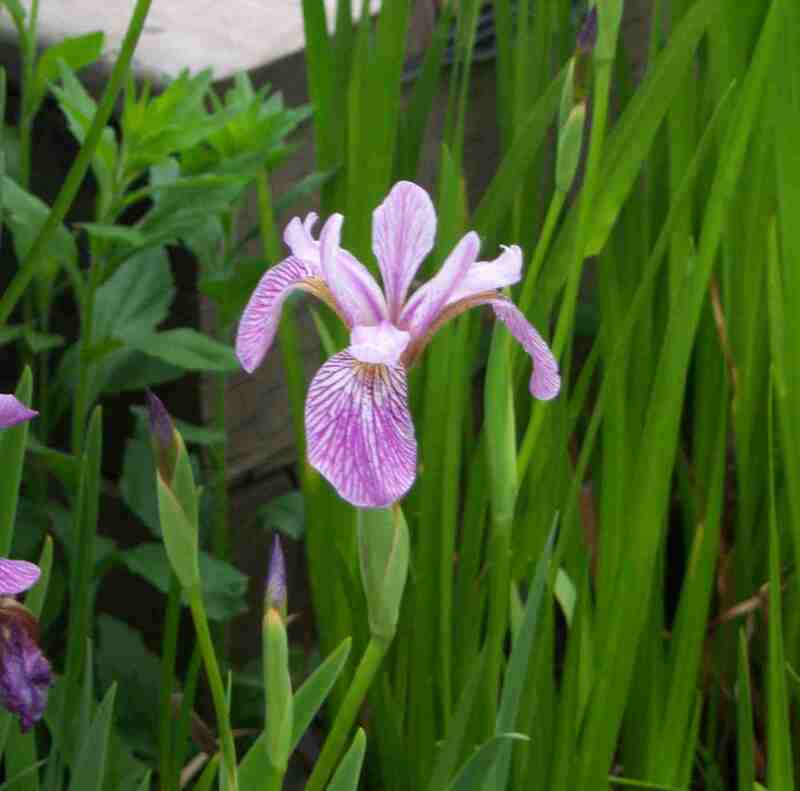 This iris does look similar to Iris pseudacorus, but without the reseeding threat. 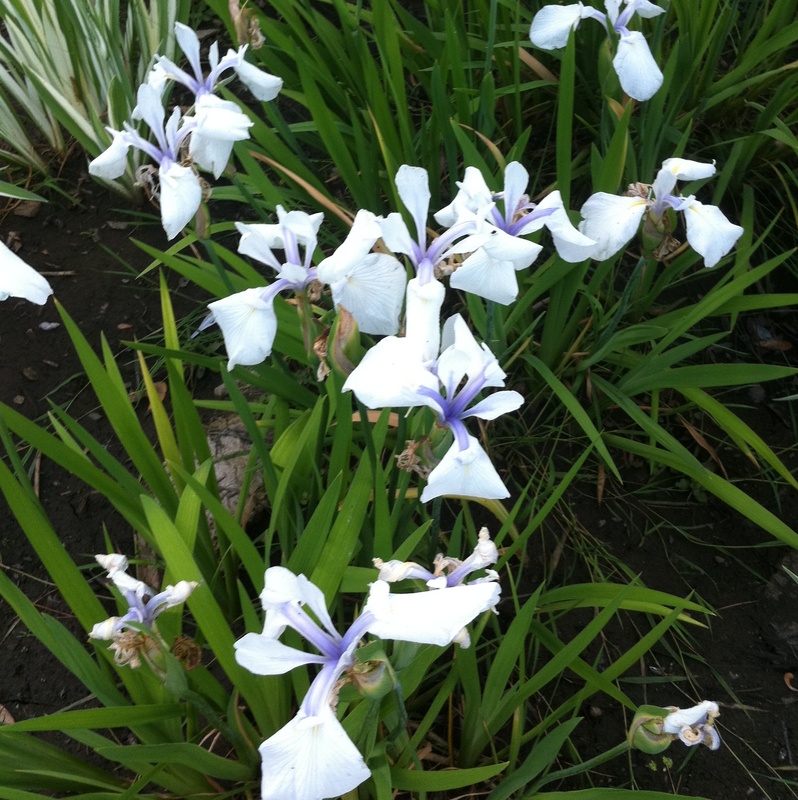 Multiple blue, pink, white, & veined flowers on a nicely formed clump. It will tolerate some shade and grow well in depths from -0+. Blue flowers/ Some shade ok. Striking all summer with its variegated foliage. Depth-0+. 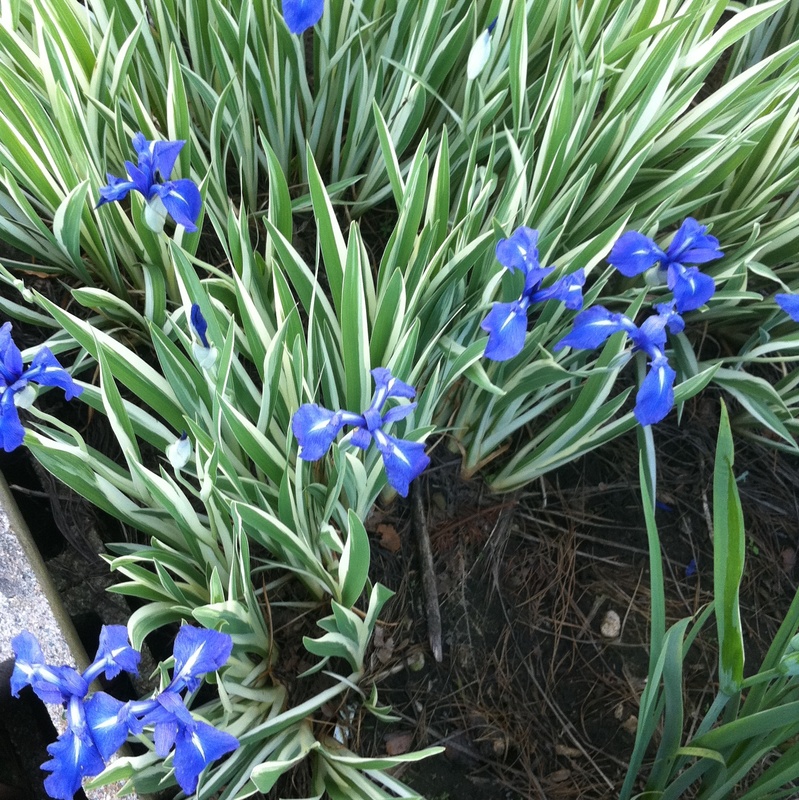 This plant has beautiful blue flowers in early spring. 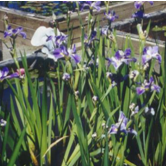 This Iris has white flowers (early) but is not as vigorous as the blue. 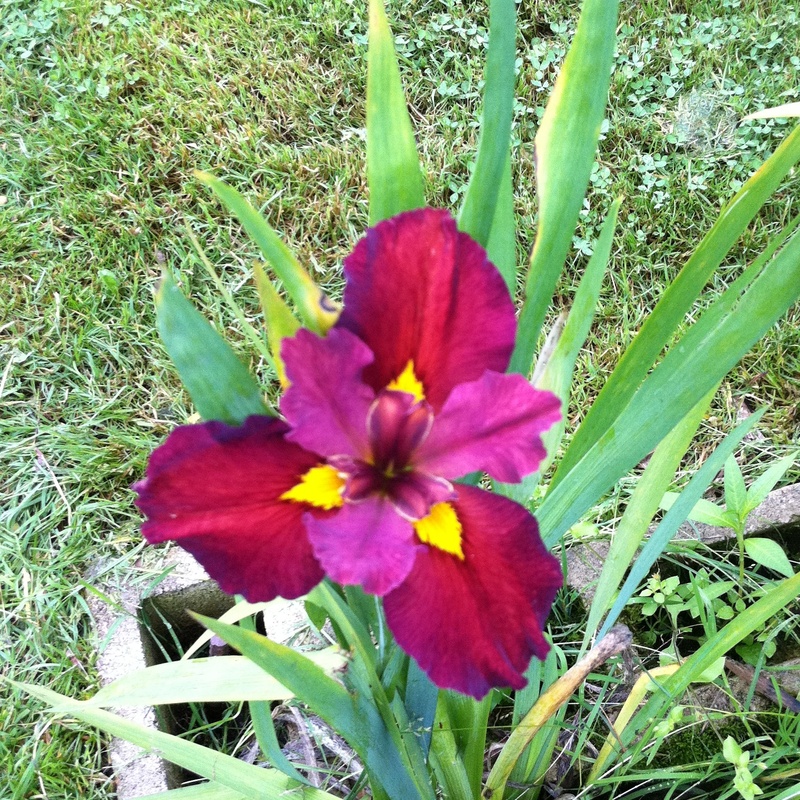 This a striking Iris. Our top choice all season but slow growing. 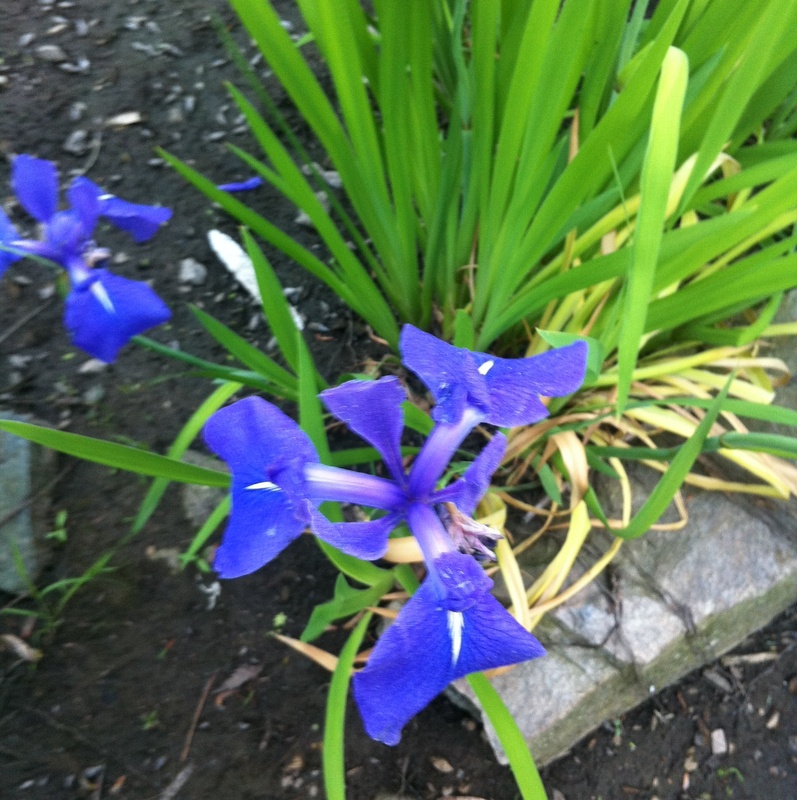 It has blue flowers that stand up against bright varigated green and cream leaves. Sword like leaves are 1" wide and 3' tall. Free-flowering plant with pale cream flowers. 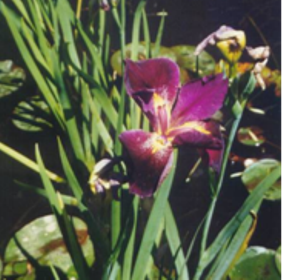 Variety of iris pseud. 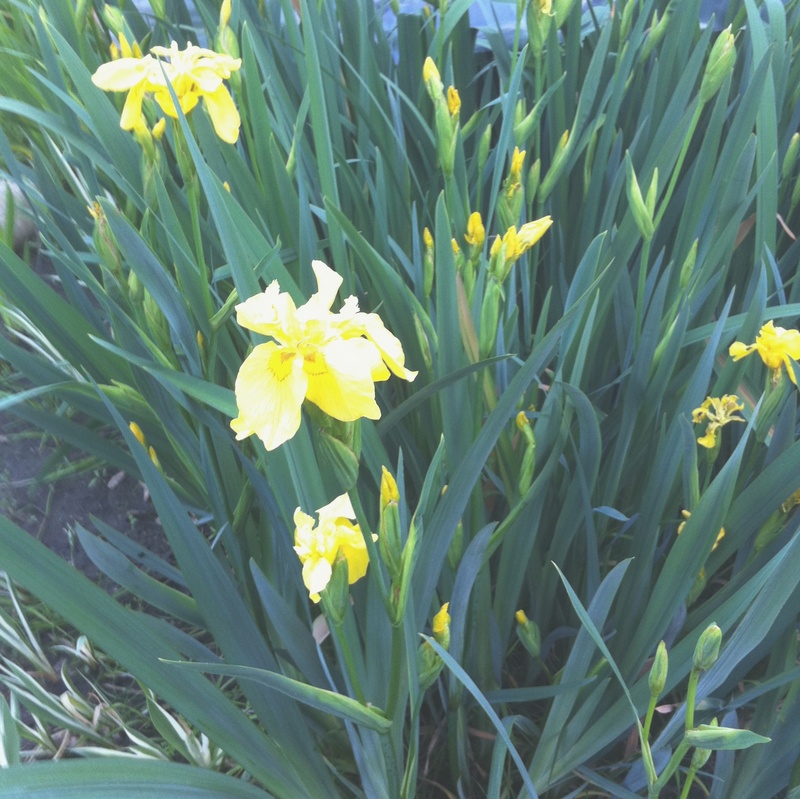 which has large double flowers. 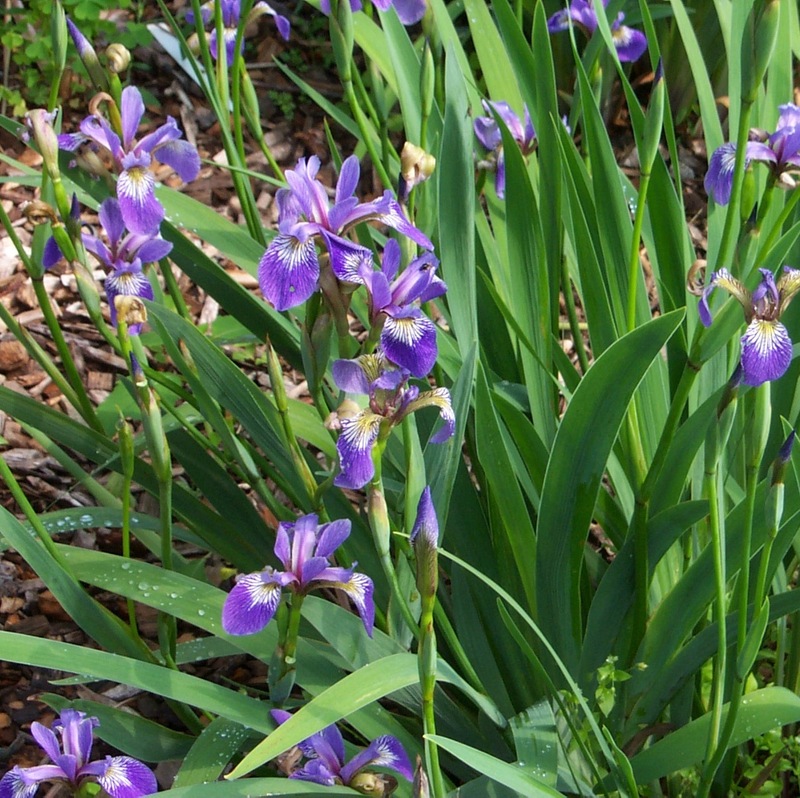 It grows well in depths from 0-4"
Flowers are violet - blue, (very early) with patches of yellow at base. 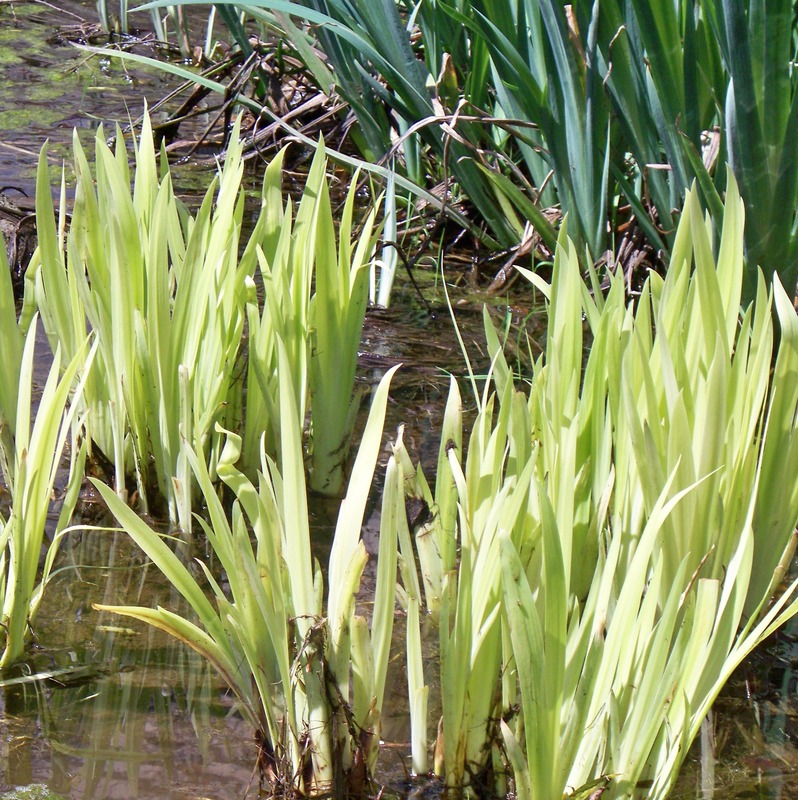 It will grow well in depths from 0-4”, quickly developing a great clump.